It was a wet, late winter night in Whitburn, West Lothian back in 1990 and I was 19yrs old when it happened. I had been out on the town with friends and at chucking out time we headed back to an empty. Musically I was getting over my early teenage obsession with all things Simple Minds. I had dipped into Love & Money, Hue and Cry, Danny Wilson and retrospectively enjoyed some Japan. I was lost. None of that had given me the satisfaction or driven me to a lifestyle choice like I had experienced in my secondary school years at Armadale Academy. I was also mourning the passing of my dad a little under 18 months earlier. The friends I was with were relatively new as I had met Big Steph at my place of employment when I started my apprenticeship in engineering with Ferranti back in 1987 and the rest of the gang were friends of his from school, so I was the new kid on the scene and kept myself to myself mostly. We went back to Duncan’s parent’s house. They were away for the weekend and so we had the use of a decent stereo system. The house is an old cottage and sits close to the crossroads but is now a children’s nursery. We entered by the back door and as we passed through the kitchen area we each poured ourselves a large vodka and coke. I was lagging behind and by the time I reached the living-room with it’s dark wood paneling and Axminster carpets, Martin had been put in charge of the music. Martin played guitar in a band and knew his music. As the needle dropped on the 12″ disc, someone asked if he was playing The Roses. I hadn’t heard of this band at all, but I was open minded so I perched myself on the arm of a chair, interested more in my vodka than the prospect of new music if I’m being honest. Then the click click click intro kicked in and I was listening to the sound of the future, the past and most importantly the present. Our glasses were placed on the nearest flat surface and Fools Gold was on repeat for the next few hours as we danced around the room, not with each other but not alone either, occasionally stopping for refreshments and by the end the sun was breaking through if not literally, then symbolically. 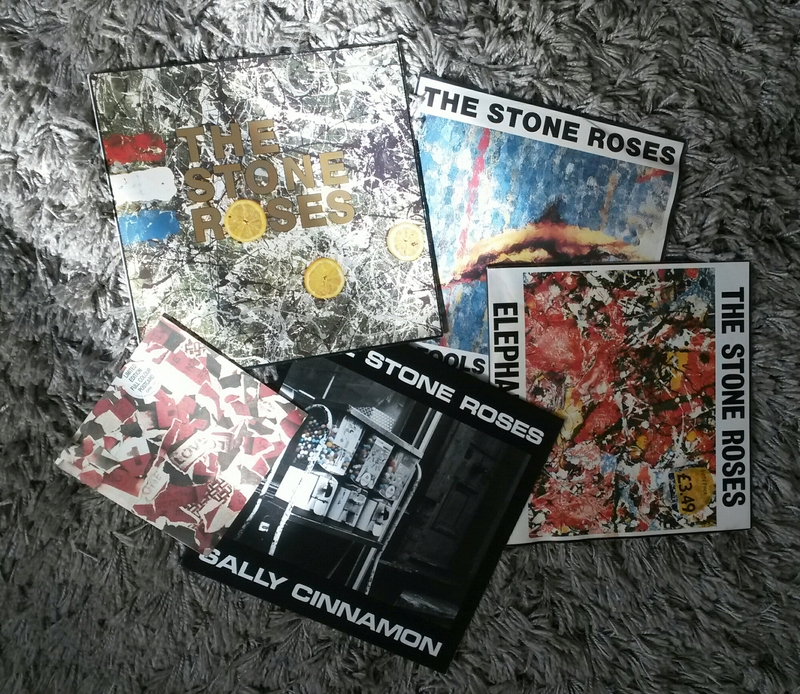 Over the next 26 years I would repeatedly find myself in the company of people who would hark back to those first time around Stone Roses tracks. Tracing their very own awakening to hearing Fools Gold, Elephant Stone or Sally Cinnamon and as the night moved through to day, we unavoidably started dancing to these and subsequent tunes released by these masters of communal sound. Over those same 26 years The Stone Roses themselves would by turn; surprise us with a long awaited second album of new material in the shape of the Second Coming; sadden us with a shambolic break up before we got a chance to see them play it live; after an extended hiatus, tantalize us with rumors of the band getting back together and finally satisfy us with a series of stadium concerts and boy did we dance. Last night The Stone Roses released their first new material in 21 years. I listened to it in my own living room through my own stereo with my wife, son and daughter. We sat waiting to see what it would sound like. Half way through the first play, I looked up to see Lorna nodding her head and smiling, Logan tapping his feet, whilst Fearne was drifting contentedly off to sleep on the couch. This could not be anymore different to the scene of my first introduction to their early material and if we’re all honest, its a pop song in the vein of The Beach Boys meets The Seahorses. How more catchy do you need it too be though? It’s also a call to arms as the lyrics plead with us to hold hands, build walls and stand strong. There’s a jagged edge to the sugary sweet lyrics which is the mark of The Stone Roses and I like it. We all change when you think about it. And that’s okay. That’s good. You’ve got to keep moving. So long as you remember all the people you used to be. From the evidence of this new song, although The Stone Roses have changed over the years, they remember all of the people they have been.